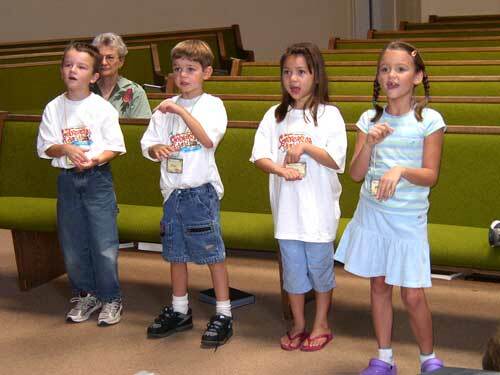 Welcome to children’s ministry at Almaden Hills United Methodist Church (AHUMC)! We offer organized Sunday school programs for children and youth from preschool through senior high school during the 10:30 a.m. service. For younger children, we offer a nursery staffed with paid child care staff during both the 9:00 a.m. and 10:30 a.m. services. In addition to our Sunday morning programs, we have an active youth group for Junior and Senior High youth. We also offer a monthly program of fun and service for 3rd, 4th and 5th grade children. A wonderful children’s choir program, Christmas musical, vacation Bible school and family parties for Christmas and Easter round out the programs and activities we offer for children and youth. Because we value children and wish to keep them safe, AHUMC has adopted a child protection policy. In addition to screening our volunteers, the policy puts in place practices to help assure the safety of children involved in programs at AHUMC.